From WordPress security experts, iThemes Security, comes a great post with the top 5 Security Myths debunked. You’ll find a lot of WordPress security advice floating around the internet from well-intentioned people who genuinely want to help. Unfortunately, some of this advice is built on WordPress security myths and don’t add any additional security to your WordPress website. In fact, some WordPress security “tips” may actually increase the likelihood you will run into issues and conflicts. In this new post and infographic, we’ll bust some of the most popular WordPress security myths so you can have a more informed approach to your website security strategy. GDPR Compliance – How and does it affect your site? Disclosure: These are general guidelines for informational purpose only and not meant to substitute the professional opinion of a legal team. For further clarifications regarding your website and business consult a lawyer familiar with this particular legislation. 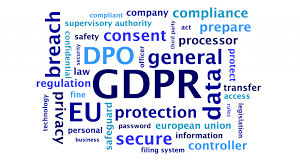 GDPR, short for General Data Protection Regulation, is an European Union law that took effect on on May 25, 2018. The goal of GDPR is to give EU citizens control over their personal data and change the data privacy approach of organizations across the world. You may have noticed since then that big companies like Google, Tweeter, Facebook, etc. have made changes to their privacy policies and user end notifications and other legalities. Basically after May 25th, 2018, businesses that are not in compliance with GDPR’s requirement can face large fines up to 4% of a company’s annual global revenue OR €20 million (whichever is greater). That brings us to, who is affected by this? And so it does if you collect any data from visitors to your site and they may happen to be from the EU. It applies to every business, large and small, around the world (not just in the European Union). then the large fines will hit. Plus there’s the larger question of how enforceable this is. Of course the big web players will be easily monitored, not so much small sites/blogs. But should you take a chance? No! The goal of GDPR is to protect user’s personally identifying information (PII) and hold businesses to a higher standard when it comes to how they collect, store, and use this data. The personal data includes: name, emails, physical address, IP address, health information, income, etc. Rights to Data – you must inform individuals where, why, and how their data is processed/stored. An individual has the right to download their personal data and an individual also has the right to be forgotten meaning they can ask for their data to be deleted. This will make sure that when you hit Unsubscribe or ask companies to delete your profile, then they actually do that! Breach Notification – organizations must report certain types of data breaches to relevant authorities within 72 hours, unless the breach is considered harmless and poses no risk to individual data. However if a breach is high-risk, then the company MUST also inform individuals who are impacted right away. In a nutshell, GDPR makes sure that businesses can’t go around spamming people by sending emails they didn’t ask for. Businesses can’t sell people’s data without their explicit consent (good luck getting this consent). Businesses have to delete user’s account and unsubscribe them from email lists if the user ask you to do that. Businesses have to report data breaches and overall be better about data protection. 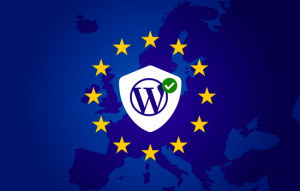 Yes, as of WordPress 4.9.6, the WordPress core software is GDPR compliant. But due to the dynamic nature of websites, no single platform, plugin or solution can offer 100% GDPR compliance. The GDPR compliance process will vary based on the type of website you have, what data you store, and how you process data on your site. If you have comments enabled on your website, then you need to add a comment privacy checkbox to comply. WordPress has added the comment consent checkbox. The user can leave a comment without checking this box. All it would mean is that they would have to manually enter their name, email, and website every time they leave a comment. If your theme is not showing the comment privacy checkbox, then please make sure that you have updated to WordPress 4.9.6 and are using the latest version of your theme. Also please make sure that you are logged-out when testing to see if the checkbox is there. If the checkbox is still not showing, then your theme is likely overriding the default WordPress comment form. These changes add a level of security for your site visitors and and won’t hurt you to implement. Let’s get compliant! How to plan your editorial process to keep your content from disappearing among the noise of the big wide web! Benjamin Franklin once said, “By failing to plan you are planning to fail!” It has never been more true and relevant than in today’s world. Even the greatest of ideas will get lost among the noise if no care is taking on how to present it and promote it. 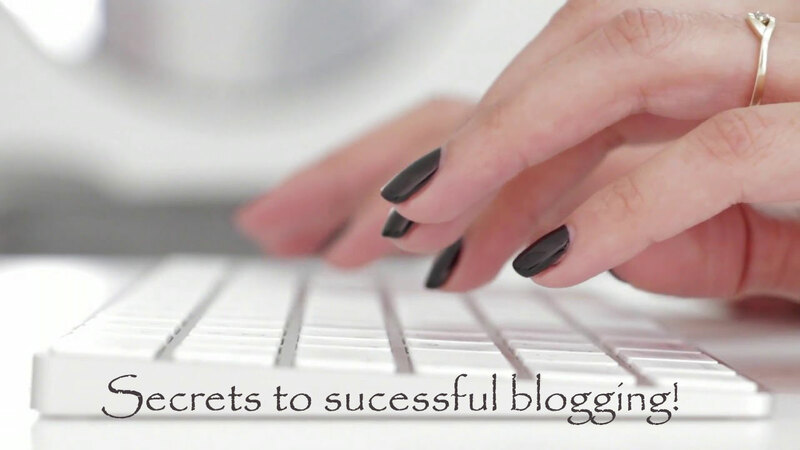 You have worked real hard at getting you blog up and running (a clever name and tagline, where is hosted, what it will look like, what theme to use for more effectiveness and other myriad of details.) You launch it to your circle of family and friends but then after a few weeks it dies a slow and painful death. Whatever could have gone wrong? Unfortunately, that is the fate of the majority of efforts by talented individuals that although their content is superior are unable to get it published to a larger audience that would disseminate it further afield. Here are some guidelines on how to successfully create and continue to grow your online publication. Most important a schedule that won’t drain your resources, once/twice a week and on what days. Something that would force you to work consistently on your content and your audience can expect release of new content on a regular basis. Review the content you are planning to write about. After you decide on the first few posts, look at what you may be missing in regards to topics and assign additional dates to those. As you become more comfortable writing and developing your style more and more will keep surfacing. Don’t restrict yourself too much so as not to (symbolically) paint yourself into a corner. Once the calendar for the first month is all assigned you can move on to the writing process or assigning it to any other authors if you are working with a team. In that case, regular meetings are also a must so everyone is on the same page of the editorial process. It can never be emphasized enough the importance of your content having the quality and properties to grab your audience and keep them coming back for more!. Research the topic thoroughly and/or give it a twist to make it your own. If they are anecdotes make sure they are relatable to your audience and easily understood. Read up how other successful online publications handle their content and what attracts and keeps readers coming back time and again. Apply some of those same principles to your own. The important thing is to remember why you feel compelled to write about it in the first place and what niche you are filling in the online community. Before you start writing you may want to put down titles, subtitles, tags and categories. This can ensure that you don’t get so involved in one direction and deviate from the overall flow of the article and will also give you additional inspiration on how to develop the content. Most editorial content plugins help you organize any external source links you may be quoting and it helps give your content validity as well as images, such as a featured image that represents the title. Write in short and clear sentences that get the idea across but don’t limit your ability to expand into a much detailed explanation in another section of the post. If you find yourself going on over your preliminary estimate of the post you may want to consider breaking it into sections that can be published sequentially and fill your calendar. Educate yourself social media and how to set your settings that will give you the best results so your audience can find you. If you don’t know how to promote your content through different platforms your articles will not show up anywhere and get buried among the noise. Most editorial content plugins are designed to make this part easier and with a basic knowledge of how social media works you can get excellent results. Review, review, publish and promote! Check our personal plan for as little as $17/mo. Self renewing free SSL Certificate for as long as you host with us (one-time setup fee). Domain Name registration and Hosting for 1 yr. Kick start your business with a professional website, built by our expert designers! See all details! How does the shared SSL work?